Patent laws were enacted to protect inventors from having their inventions recreated by others. In earlier times, most patents were granted for technological advances. But these days, people seem to have gone overboard when seeking this legal protection. One current issue involves the legality of patenting a living creature in whole or in part. Today, it is bacteria, viruses, mice, fish, dogs, and rabbits that are getting patented. Tomorrow, it may be humans. In 2013, the United States Supreme Court ruled that human genes could not be patented, leaving in question the legality of over 5,000 patents that had already been issued for human genes in the US. Rather than stopping this practice, however, the court ruling may only encourage people and organizations to find loopholes in the law. The OncoMouse is the world’s first patented animal. It was created by researchers at Harvard University to study the formation and treatment of cancer in humans. Unlike a regular mouse, the OncoMouse has been permanently infected with mouse mammary tumor virus, the mouse equivalent of breast cancer. This makes OncoMice susceptible to developing cancerous tumors. In April 1988, Harvard University was granted a patent for the OncoMouse, which was classified as a “Transgenic Non-Human Mammal.” Later, Harvard licensed it to top chemical company DuPont, which had been involved in its development. 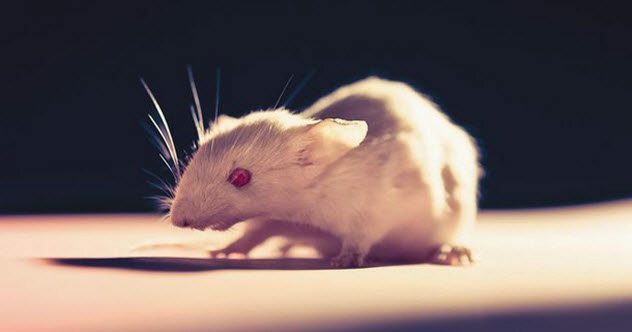 The patent generated some controversy among animal rights activists, who questioned the morality of patenting a living creature, and researchers, who viewed this legal protection as an act of privatizing lab mice. Before this, research organizations had freely shared mutant lab mice among themselves. But now, DuPont sold the mice at high prices and demanded that researchers give DuPont a share of any commercial advancements made while using these mice. The European Patent Office granted a patent for the OncoMouse after concluding that the benefits of the creature to mankind outweighed its sufferings. Canada has refused to issue a patent for the mouse on the grounds that it remains a living creature despite the man-made mutation. However, Canada allowed Harvard to patent the method of creating the mouse. A new species of oil spill–eating Pseudomonas bacteria was the first genetically modified creature ever patented. 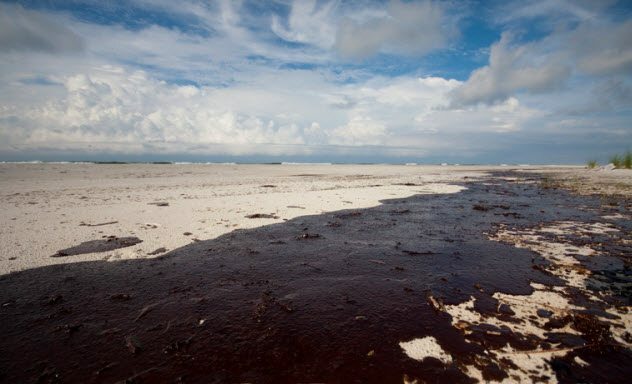 It was made by inserting into a single species the DNA from four species of oil spill–eating bacteria in the Pseudomonas genus. Before the modification, all four species were required to clean an oil spill because each consumed a different part of the oil. But instead of cleaning the spill, the species competed with each and left the job improperly done. Scientist Ananda Mohan Chakrabarty and his team put an end to this competition with their genetically modified bacteria that would consume oil without a problem. Chakrabarty applied for a patent for his “invention,” which generated a hot legal battle that eventually reached the United States Supreme Court. But the legal debate was not just about patenting the bacteria. It was about patenting any living creature since the success of Chakrabarty’s application would be an indirect approval for researchers who wanted to patent other genetically modified organisms. Chakrabarty was granted a patent in 1981 after his lawyers argued that the US Constitution allowed the patenting of any original processes. This inspired the patent for the OncoMouse a few years later. The scientific community has been haggling over whether viruses are living or nonliving things since the existence of viruses was confirmed. This problem is compounded by the fact that viruses behave like nonliving things when outside the host’s body and like living things when inside the host’s body. Middle East Respiratory Syndrome (MERS) is a usually fatal respiratory virus that causes pneumonia and similar ailments in humans. It is prevalent in the Middle East, especially in Saudi Arabia where it was first diagnosed in 2012. Saudi Arabia tried to conduct research on the virus, but they ran into a brick wall when informed that Erasmus University in the Netherlands had applied for a patent on the virus, along with its process of detection and prevention. 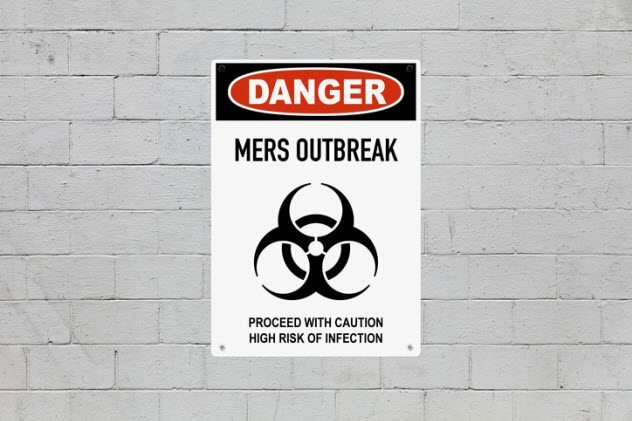 Under the United Nations Convention on Biological Diversity, the MERS virus is supposed to belong to Saudi Arabia. The virus was sent to the Netherlands by an Egyptian doctor in Jeddah without the Saudis’ permission. Erasmus University had previously tried to patent other viruses. In the 2000s, it attempted to patent the similar Severe Acute Respiratory Syndrome (SARS) virus and only dropped its claims after the World Health Organization intervened. However, the university does have a patent on the human metapneumovirus (hMPV) and even tried creating its own virus in order to obtain a patent on it. Biochemical and Pharmacological Laboratories, Inc. has a patent on a rabbit. Not a genetically modified rabbit but a normal rabbit whose eyes have been deliberately damaged with a sugar or salt solution and left permanently open for research and profit purposes. The damage causes the rabbit to have symptoms similar to “dry eye,” which usually leads to a shortage of tears and then to corneal epithelial damage in humans. 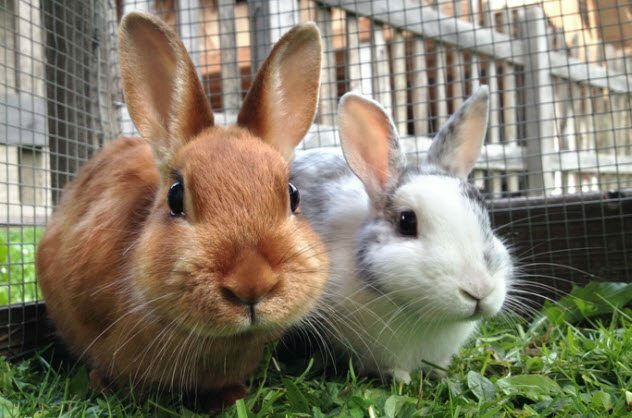 The rabbits would be used to research treatments for this condition. The patent also applies to other animals like chickens that have been damaged with this technique. The Supreme Court ruling that allowed the patent on a new species of Pseudomonas bacteria was the green light needed by researchers and their organizations to patent genetically modified living creatures. OncoMouse was one such creature. Triploid oysters were another. Triploid oysters have three sets of chromosomes, unlike normal oysters that have two sets. 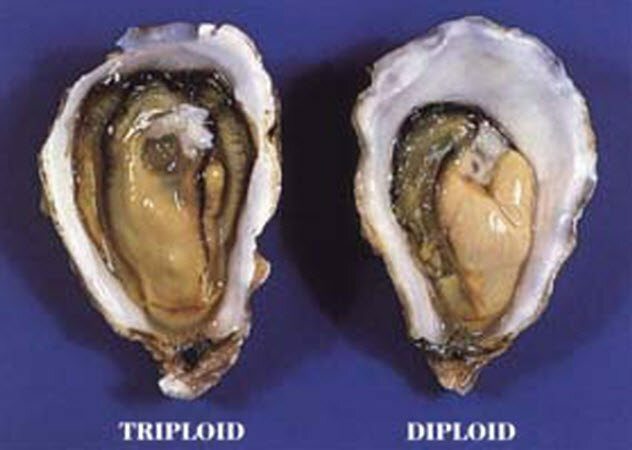 This makes the triploids bigger and fatter but also infertile, which means they do not spawn like other oysters. Thus, the triploids are available year-round. Normally, oysters become scarce during the summer months when they mate. Triploid oysters were first made in the 1980s by Standish Allen, a biologist and PhD student at the University of Washington. He applied for a patent, but it was rejected on grounds that he had previously researched and published the process of making triploids while studying at the University of Maine in the 1970s. In 1989, Standish and a colleague, Ximing Guo, developed another method of producing triploid oysters. Standish’s first method had involved the use of dangerous chemicals. But the new method involved the creation of tetraploid oysters (with four sets of chromosomes) which would be crossed with natural diploid oysters (with two sets of chromosomes) to create triploid oysters. This time, their patent application was approved even though it was granted in the name of their employer, Rutgers University, in 1998. The patent covers not only oysters but also similar animals like scallops, clams, and mussels as well as the process of making them. 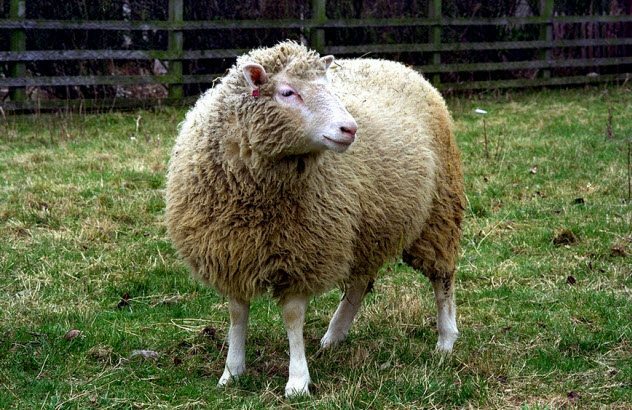 Dolly the sheep is the world’s first mammal produced by cloning. Instead of being the product of a fertilized egg, her DNA material was taken from the cell of another sheep. This made Dolly a perfect clone of the other sheep since they had the same genetic composition. Dolly was cloned in 1996 and lived a normal life until she was euthanized in 2003. She birthed several lambs during her 6.5 years of life. The Roslin Institute researchers who did the cloning tried to patent Dolly, her offspring, and the process of cloning her. What followed was 10 years of litigation that ended in 2014, long after Dolly was dead. The conclusion was that Dolly and other cloned animals could not be patented because they contained the same genetic material as the animals from which they were cloned. However, Roslin institute of the University of Edinburgh was allowed to patent the process used in cloning Dolly. More than 75,000 dogs are used for experiments in the United States every year. Beagles are used most often due to their portable size and submissive behavior. They are often in such high demand that thieves have been known to steal the dogs from their homes and sell them to laboratories. 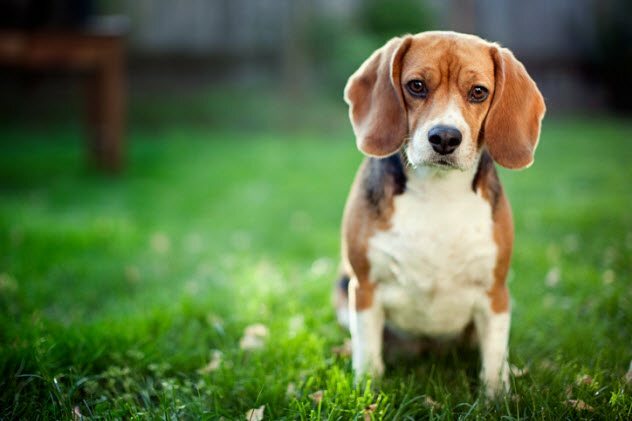 At the turn of the century, the University of Texas invented a way of giving beagles a lung infection that would end in their deaths. The subsequent patent application covered any animal on which the method was used. The US Patent and Trademark Office (USPTO) initially granted the patent. But they withdrew it for review in 2004 after the American Anti-Vivisection Society and the Center for Technology Assessment challenged its legality in court. The University of Texas ended the saga by dropping its patent claims before the USPTO reached a conclusion. In 2005, agricultural biotechnology company Monsanto drew the ire of the public when it tried to patent a meatier pig it had supposedly created. The patent also applied to the pig’s offspring and the associated breeding techniques. This was where things got murky. First, Monsanto did not create or genetically modify any pig. All it had created was a testing kit that farmers could use to identify a gene that was present in meatier pigs. Once detected, pigs with the genes would be paired to produce piglets that would mature into meatier pigs. This was definitely not an invention. It is called natural selection and is something we have been doing for centuries. Monsanto only created a kit to make it easier. In 2007, Monsanto sold the kit technology to US-based Newsham Choice Genetics, which tried to patent it in the European Union. 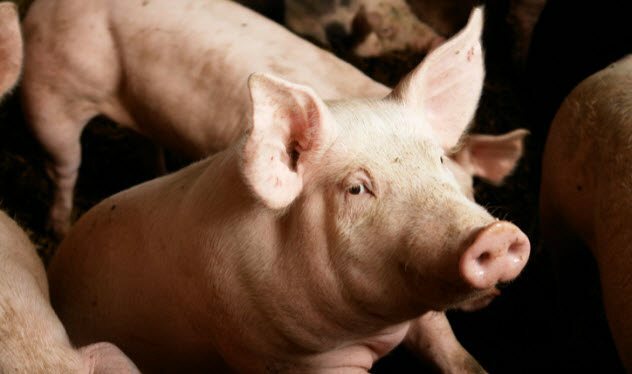 In Germany, pig farmers and even the agriculture minister protested the application over concerns that the farmers would be forced to pay royalties to Newsham. The European Patent Office refused to give Newsham a patent on the pig, but the company did receive a patent on the kit. 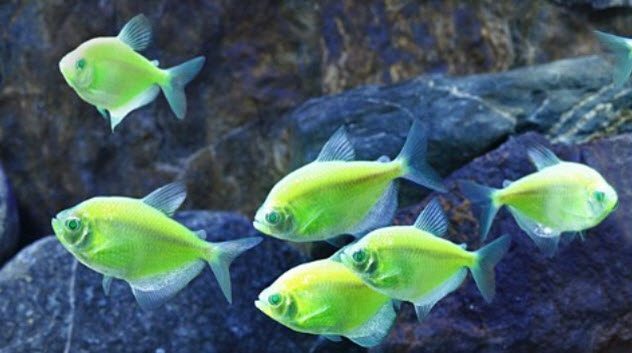 The GloFish is the world’s first genetically modified pet. It is a patented zebra fish that glows under ultraviolet light. When viewed under regular lights, it looks like every normal zebra fish. The GloFish’s distinct glow is made possible by adding the fluorescent genes that make coral glow into the genes of the zebra fish. Initially, the GloFish was not made as a pet but as a sort of biological instrument to detect water pollution. The first GloFish was made by Singaporean scientists who wanted fish that glowed whenever the water they inhabited was polluted. Ideally, genetically modified fish are rendered sterile so that they cannot reproduce if they escape into the wild. But the GloFish can still reproduce because its maker, Yorktown Technologies, claims that the fish cannot survive in the cold waters of the United States if they ever found themselves in the wild. 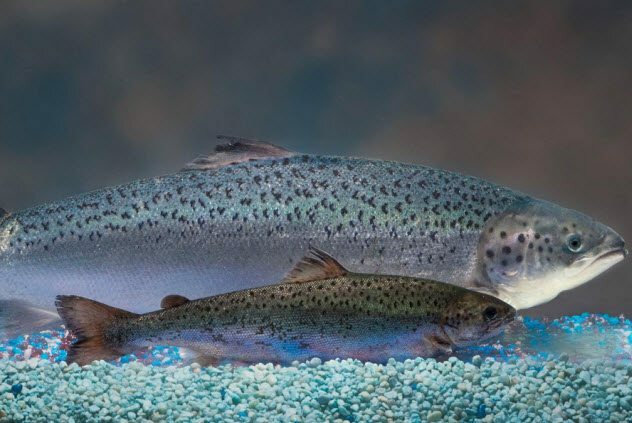 The AquAdvantage Salmon is the first patented and genetically modified (GM) salmon that has been approved by the Food and Drug Administration (FDA) for commercial production and consumption. A product of AquaBounty Technologies, it is made by adding genes to an Atlantic salmon from the Pacific Chinook salmon and the ocean pout. The result is a GM salmon that grows throughout the year rather than during specific seasons like other Atlantic salmon. This means that the AquAdvantage Salmon grows two times faster than regular salmon and is available year-round. Besides the usual problem of patenting an animal, there are concerns over what would happen if these GM salmon escape into the wild and “contaminate” non-GM salmon. According to the FDA, this is impossible since the salmon are reared in special tanks far away from natural water. Besides, they are sterile females incapable of reproducing. People who do not want to consume GM foods have an additional concern. AquaBounty Technologies is not required to list its salmon as genetically modified because there are no biological differences between the AquAdvantage Salmon and non-GM salmon. Read about more bizarre patents on 15 Truly Bizarre Patents and 10 More Extremely Bizarre And Pointless Patents.